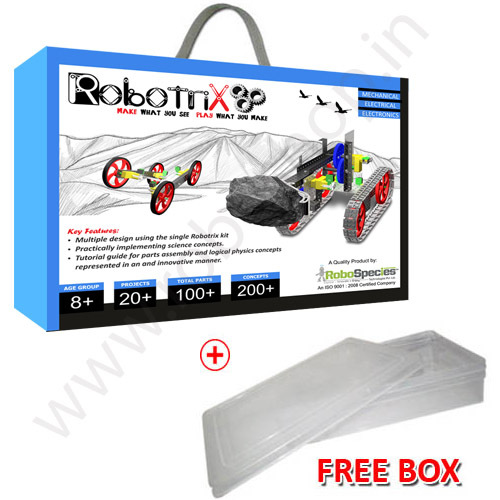 ROBOSHOP offering the Robotrix kits in valuable price. What is Robotrix Junior Kit ? RobotriX Junior Kit is a robotic kit intended to introduce students as well as adults to the world of robotics. 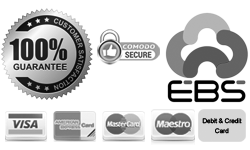 It is based on STEM concepts i.e. Science, Technology, Engineering and Mathematics. It is an innovative platform to explore science. Best suited for creation of prototypes. RobotriX Junior Kit from RoboShop.in explains various motor and axial movements of mechanical parts. You can understand basic principle of gear assembly, gear ratio, rach and pinion arrangement, speed control with the help of gears. From the early childhood student applies gear assembly in cycles but rarely they get to know how the speed of the cycle is changing with the help of gears, by applying various parts from the RobotriX kit student easily understands this principle. What Robotic Projects can make?? RobotriX Junior Kit from RoboShop.in will make you smarter. RobotriX Kit has all the elements what a child of today’s world needs to understand the basic functioning of the machines around us.